Aquarian Shaman: Shamanism for a New Age: Venus Rising University Is Born! Venus Rising University Is Born! Some 14 years ago a dream came to me of a transformational program that would not only help people to heal and change their lives but would also award degrees to students who completed a course of experiential studies. The first part of the dream was immediately manifested through what is now Venus Rising Institute for Shamanic Healing Arts. On August 6, 2010, the second part of my dream came true! Venus Rising University has been approved by the University of North Carolina to formally educate individuals for a spiritual career by offering degrees in Shamanic-Psycho-Spiritual studies! 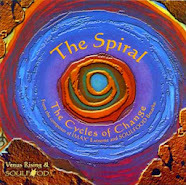 It is with great joy that I put out a call to all who have attended Venus Rising programs in the past. You may be eligible for one or more of the four degrees being offered through Venus Rising University! All the work you have done at Venus Rising, degrees and certifications you've received from other organizations, as well as life experience - all will be taken into consideration for a possible degree from VRU. We are quickly putting a system in place for you to apply for a degree and submit transcripts. In September we will have a Venus Rising University website up and running with information on-line on how to apply for enrollment as a student at VRU. For more information, contact admissions@venusrisinguniversity.org and someone will be back with you shortly. Please bear with us as we work out all the details but we promise you that very soon you will be on your way toward becoming a proud graduate of Venus Rising University! 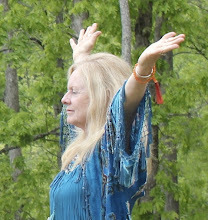 Over the years thousands of students have taken our classes and workshops with many certified as Shamanic Breathwork ™ Facilitators, Initiates and - more recently - as Shamanic Ministers and members of our Shamanic Ministers' Global Network. In March of this year the Internal Revenue Service finally gave us the power to create congregations in other areas of the country and to empower certain of our ministers to become congregational leaders. Both decisions - one empowering us as a nationwide 501c3 spiritual organization with a network of congregations, and the other recognizing us as a legitimate spiritual educational institution - are huge victories, not only for us but for all who have longed for a new system of creative education, spiritual sharing and a dynamic new form for becoming the change we want to see in the world. For me, the manifestation of Venus Rising University has been the response to a deep, personal call to planetary service. Do you feel called to a life of spiritual service to our planet? Have you recently had a wake up call in your personal life? Do you know, deep within yourself, that in order to change the outer conditions of our planet each of us must quickly transform - now - before it is too late? The time has come for each of us to step into our full power as co-creators capable of tapping into the Universal Source. We must all awaken our deeper consciousness and acknowledge our individual responsibility so that we as a species can stop the harm we are doing to all creatures great and small on our beautiful, green planet. It is time to find our individual sacred purpose within the collective vision and take immediate action. NO MORE WAITING! If you feel the call but have not yet responded, I am compelled to ask -what is it you are waiting for? It is too easy to rationalize and make excuses - someone else is smarter, more creative, better equipped than we are. Something in our outer world must change - more money, more time, a better job, or even more favorable astrological transits - then we'll step forward and answer our call. I say to you that the outer will always reflect the inner and if we want to see a change in our world then that change must come from within us. "As within, so without" is the cosmic law and matter always follows energy - not the other way around! Where we put our energy - the place we are called to by our heart - this is what creates our reality. 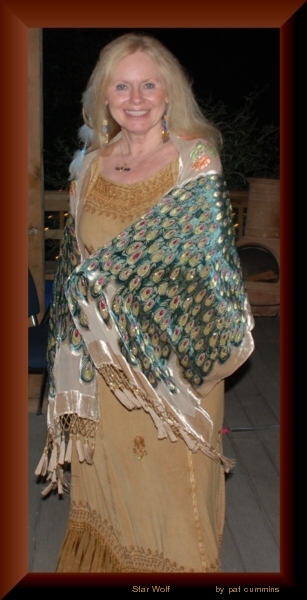 After more than three decades serving as an agent of change in a variety of settings ranging from the fields of mental health and addictions to shamanic teacher and guide, I am convinced that the way to create real change and innovative leadership in the world is to heal the wounds from our personal past and step into the future with our heart and spirit guiding the way. I say this from personal experience, both professionally after working with thousands of people, and also from my own journey into wholeness. My past belief was that I was not smart enough or good enough to do many of the things I have done in my life. At times my past programming has felt insurmountable. One day at a time, through my own perseverance, my deepening relationship with Spirit, and with the support of many wonderful people along the way, my inner world has changed so as to support substantive change in my outer world. The old me would never have believed that I could convince the University of North Carolina to support our educational program - but it has happened! I believe that some old, outworn pattern within my psyche finally shifted so that this external change could manifest. After all, if I don't have a passionate belief in what we are doing, then why should anyone else? Onward we go to the next vision - that of completing the construction of the physical manifestation of Venus Rising University. 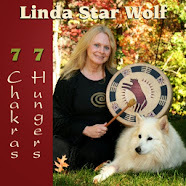 We already have our beautiful Earth Medicine Wheel, our incredible Fire Portal, and our stellar Blue Star Spirit Temple. Now it is time to build the Air and Water Temples! If you would like to help us build these amazing structures, please become a Spirit Wolf! 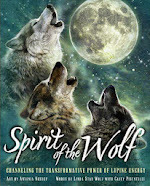 In just six weeks, as part of our 2012 Spirit Wolves campaign, 47 Spirit Wolves have heard the wolf howl. Thank you for answering the call! Over the next year I will continue to travel extensively, supporting two new books, Shamanic Breathwork: Journeying Beyond the Limits of the Self and Shamanic Egyptian Astrology: Your Planetary Relationship to the Gods. I look forward to seeing many of you along the way and celebrating the birth of a new eon. This truly is the time we've longed for, and we are the ones we've been waiting for!